Lithium explorer European Metals Holdings (ASX:EMH) is working smarter, not just harder. 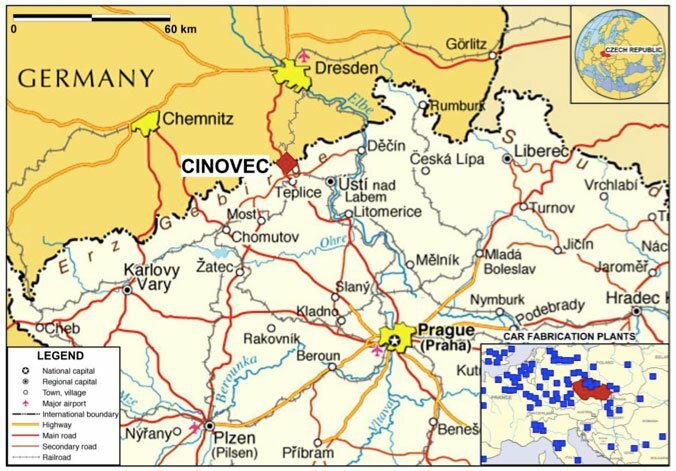 EMH’s Cinovec Project in the Czech Republic is huge – it’s in the top four global hard rock lithium deposits on the planet, with an inferred resource 5.5Mt LCE (lithium carbonate equivalent). Having recently confirmed a Maiden Indicated Mineral Resource of 7.0Mt @ 0.23% Sn, 0.03% W and 0.21% Li at 0.1% Sn cut off grade, and obtaining excellent Scoping Study results over the past year, EMH is now going full-throttle to complete a Definitive Feasibility Study (DFS) at Cinovec. The goal of the DFS will be to move a lot of that 5.5Mt Inferred resource into the Indicated status. 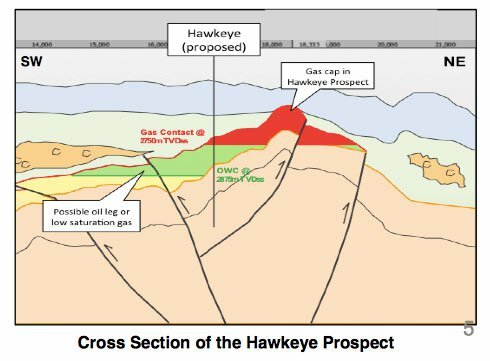 With a lot of info already available on the project, including 80,000m of drilling, the Pre Feasibility Stage can be leap frogged, saving the company significant amounts of time in moving into production. EMH has now made the decision to advance directly to a DFS with completion being earmarked for the 2 nd half of 2016. The company’s long-awaited crack at the burgeoning global lithium market is almost over. Demand for lithium is growing fast – it’s a key ingredient in the lithium-ion rechargeable batteries that companies like Tesla are making at a rate of knots. With a strategic position in the Czech Republic, right in the heart of Europe, EMH is poised to become a significant supplier of lithium to manufacturers like Rockwell, BMW, Mercedes, Tesla, LG and Panasonic. 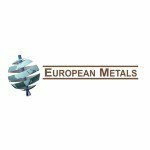 Just days ago, European Metals (ASX:EMH) announced a share placement to raise A$1.5M from European investors to push the DFS through – and also signalled its intention to list on London’s Alternate Investment Market (AIM) to attract further capital closer to where its resource sits. EMH can hit the accelerator now for a DFS, because Cinovec has enough historic drilling data to support it, along with an overwhelmingly positive Scoping Study. The Scoping Study shows it can make a tonne of lithium carbonate for less than $2,000 – an excellent figure when you consider lithium can sell for up to $7,500 a tonne! EMH will use a patented process to harvest lithium carbonate (LCE) from abundant ore material (lithium micas). Only a few companies have access to this cheap, zero-energy process, and you can read a whole lot more about it in this article ASX Company to Dominate Global Lithium Market? , which covers the company commercialising this technology, Cobre Montana (ASX:CXB). At The Next Mining Boom, we first covered EMH with the article Electric Cars Need This: ASX Junior’s Billion Dollar Potential . This article tells all about EMH’s plans to make Cinovec one of the world’s biggest and most cost effective sources of battery grade lithium carbonate – a substance that’s steadily increasing in demand year-on-year. How much demand? Well, we quickly followed up our debut EMH article with Tesla Reveal the Powerwall as EMH Reveal Low Cost Lithium Production Plan . Tesla’s Powerall is a wall mounted lithium-ion rechargeable battery for the home that uses lithium for its reactive properties. If this product takes off globally, the demand for battery grade lithium carbonate is sure to increase significantly. And it already is – Tesla is building an immense complex in Nevada, USA it calls the ‘Gigafactory’ to churn out rechargeable lithium ion batteries on an unprecedented scale. Car manufacturers across the world have also seen the potential of battery powered cars, unveiling their own electric cars to compete. Cinovec ranks in the top four hard rock lithium resources in the world in terms of sheer size, and EMH is progressing to produce significant amounts of battery grade lithium carbonate on the doorstep of one of the world’s major markets – The European Union. Achieve a 100% Inferred to Indicated Resource conversion rate. If EMH’s exploration target is proven via future drilling, EMH could possess the biggest hard rock lithium deposit of lithium on the planet. Currently, EMH is capped at less than $8M but with these developments, this may soon change. EMH’s plan is simple – work up all of the resources at Cinovec and mine them – with ore bearing tin and tungsten set to be processed using traditional gravity methods. The lithium gets special treatment though – at Cinovec it is contained within zinnwaldite, a type of lithium mica, which is a rock group long neglected as a source of lithium carbonate. EMH is working with Cobre Montana (ASX:CXB) to deploy a proprietary atmospheric leaching process that can create battery grade lithium carbonate from lithium micas and ore tailings that contain it. In addition, the process produces a large amount of the higher value potash – sulphate of potash. EMH and Cobre Montana have signed a heads of agreement that could see EMH deploy proprietary atmospheric leach processing on the tailings of the ore mined at Cinovec – after EMH has extracted tin and tungsten from them. There is also an opportunity for EMH’s lithium carbonate production costs to get even lower than the sub $2,000 range when credits from the production of tin and tungsten are taken into consideration. The usual order of project development is Scoping Study, Pre-Feasibility Study and then Definitive Feasibility Study – but EMH is cutting out the middle one. The results of its Scoping Study were so compelling that EMH wants to make things happen right now and skip the DFS. Add in the fact that an archive of information already exists from past exploration activities at Cinovec – including over 80,000m of drilling data and 21km of underground drives – and the case for a DFS could not be more compelling. So advancing to the DFS offers the opportunity for EMH to lock those costs in. After all, Cinovec is in the top four hard rock lithium resources on the planet – and that size will look a lot more attractive with a super competitive price refined to a DFS level. When the DFS begins, EMH will concentrate on converting a large portion of the inferred resource at Cinovec to the indicated resource category. This will allow detailed mine planning to take place. The company will also retrieve more lithium ore samples for metallurgical test work to refine its production process using that unique leaching method. From that we’re hearing, work has already commenced on the permitting process for the drilling of holes to get the samples. By jumping straight to the Definitive Feasibility Study stage, EMH is targeting the beginning of development at Cinovec in the 2 nd half 2016. The DFS will be a crucial for EMH – it has to be done right so the company can drive Cinovec into production and start making revenue from lithium in the heart of Europe. It’s trusting this crucial job to a Czech mining expert with a long track record – Jiri Sterba – who has been appointed as the new General Manager for EMH’s Czech subsidiary, Geomet s.r.o. Streba will take up the new role immediately and shepherd the Cinovec project through this key stage of development. Sterba holds a PhD in Geological Engineering from the University of Mining and Metallurgy at Ostrava in the Czech Republic and has worked extensively throughout Europe and South Africa as a geologist and a hydrologist. He will manage the in-country aspects of the Cinovec development programme, coordinate technical work, and liaise with government authorities on permitting and licensing of the project. 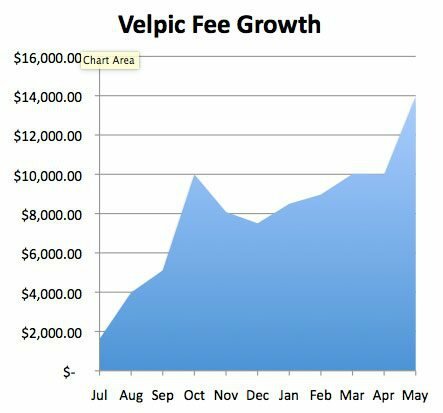 At The Next Mining Boom, we see this a very solid move – local knowledge is key and Streba looks like just the guy to get Cinovec through the DFS. To pay for all of this DFS work, EMH is seeking to raise A$1.5M through a share placement to European-based investors. The company proposes to raise A$1.5M through the issue of 18.75m CDI’s at an issue price of 8 cents per CDI issued in two tranches. The $1.5M capital raising has already attracted a key investor – Rare Earth Minerals (LON:REM) who will take a 27% stake in the placement. 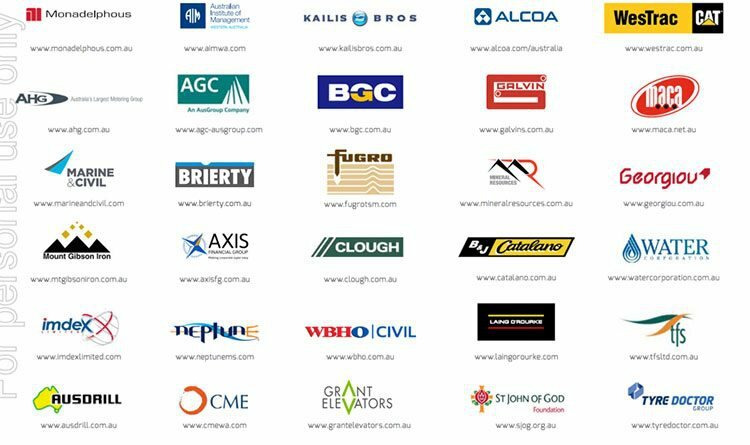 REM is a London listed investment company focused on creating a diverse portfolio of direct and indirect interests in lithium and rare earth deposits with a current market capitalisation of approximately $135M. Their core investment strategy is to invest in companies that exclusively explore and produce lithium or rare-earth minerals or metals. The reassuring aspect for EMH investors is that REM is a specialist investment company that has successfully invested in 4 other lithium and rare-earth/metals projects since 2010. As part of their investment, REM carries out specialist due diligence and viability research. And REM could just the tip of a European investment iceberg for EMH – after the placement the company wants to seek a listing on the London Alternate Investment Market (AIM) to even attract more continental capital. The execution of the DFS at Cinovec will be a very busy time for EMH as it works to finalise every little detail of its plan to create a globally significant lithium resource in the industrial centre of Europe. At The Next Mining Boom we’ll be looking out for details of the plan – this is the catalyst that could bring Cinovec into development by late 2016.